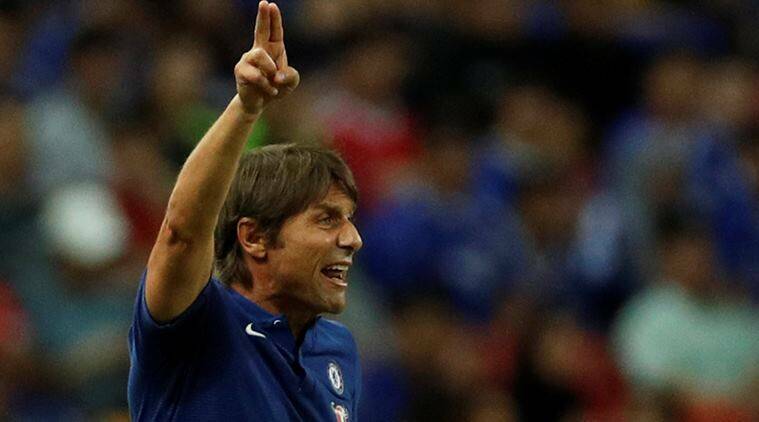 Chelsea boss Antonio Conte is determined to start the new season on a high in order to avoid a repeat of the 2015/16 campaign where the Blues slumped to a lowly 10th in the league standings. The Blues had been crowned champions during the 2014/15 season, and none would have predicted what would happen next as the Blues lingered near the drop zone when Jose Mourinho was axed in December 2015. Conte took the Blues to the Premier League title during his maiden season in English management last term, but he is expecting a tougher challenge next year with the Champions League adding the extra pressure of games. The former Juventus boss cited that he would like to avoid a similar season to that of Mourinho’s in 2015/16 whilst he will also try to keep his managerial position unlike Mourinho and Claudio Ranieri, who were sacked within months of their respective league triumphs for Chelsea and Leicester City respectively. John Terry played his final game for Chelsea on May 21 of 2017 as he performed for his club in their match against Sunderland which concluded with the team of Antonio Conte claiming a 5-1 triumph. The 36 year old English defender made a speech about his time spent in Stamford Bridge as he made over 700 appearances with more than 15 years of playing time at the English Premier League club but his time has finally reached it’s end. Chelsea are reportedly stalling on their potential approach for James Rodriguez after knowing of Real Madrid’s £70m asking price for the Colombia international. The South American attacker has been constantly linked with a Premier League move after he was found applying for a UK working visa earlier in the January transfer window. Rodriguez eventually opted to stay put at the Bernabeu under the advice of agent Jorge Mendes with a view to resolving his future in the summer. Antonio Conte says that he is disappointed to see the referee Mark Clattenburg leave the Premier league. One of the best referees in England, Clattenburg has been given the opportunity to take charge of some of the biggest games like the English FA Cup final. He was regarded as the next big thing in English football refereeing aside from Howard Webb, who retired from refereeing a few years ago. Clattenburg was recently rumoured to be considering offers from China and Saudi Arabia. These were far more lucrative than the £ 100,000 per year contract he currently receives as the Premier League referee. Antonio Conte has taken a parting shot at midfielder Oscar, who has secured a move to Chinese football, by saying that the midfielder has lost a fantastic opportunity to play in the Premier League. Regarded as the best league in the world, the Premier League is one of the home pitch for some of the greatest players in the world like Paul Pogba and Eden Hazard. However, Oscar has chosen to follow the riches on offer, as he has moved to an unknown league where he will be earning £ 20 million per year. Oscar has become the best paid player in the world following this move. BranislavIvanovic has stated that he accepts his current situation after being dropped to the bench by Antonio Conte. He said that he has no hard feelings towards the manager and that he wants to do his best for the team. He believes that the manager has made the best decision by choosing the most in-form players and that he will accept the situation at the moment. Indeed BranislavIvanovic has been a major player for Chelsea under Jose Mourinho and seems to have now lost his first place in the team. The defender said that he understands the situation and that he will be training hard in order to win his place back in the team. The player has been criticized for the past months, and it seems that Antonio Conte has finally decided to replace him in the team. Indeed the player has been the culprit of many mistakes that have gifted opposition goals against Chelsea. Many pundits believe that BranislavIvanovic may have a hard time in getting his place back in the team and that at the moment Antonio Conte has different alternatives in this position. The rumours linking Diego Costa with a move away from Chelsea do not seem to be going away even after the appointment of Antonio Conte. The striker has been linked with an imminent return to Atletico Madrid, where he became a legend in the last few years. Costa was a major factor in helping Chelsea lift the league title in the 2014-15 season, but he had a very poor season the last time around. His poor form was especially pronounced in the first half of the season when José Mourinho was the manager. Incredibly, Costa’s form including dramatically after Mourinho was sacked and Guus Hiddink was appointed. The patchy form for the Spaniard in the last two seasons may have been one of the reasons, while language issues have also been spoken about. Costa has scored 36 goals in the last two campaigns, which is a good return for someone who cost only £ 30 million. At 27 years of age, the striker still has plenty to offer for the club if he manages to strike good form. After having been an extended holiday due to Euro 2016, Costa was seen only towards the latter end of the Chelsea’s pre-season. It remains highly doubtful if he would start the game against West Ham on Monday night. Chelsea manager Antonio Conte has stated that Diego Costa should stay with the London club. There were reports that the striker might be looking for a move to Atletico Madrid, but Conte has denied the existence of such rumors. He said that Diego Costa is happy to play with Chelsea and that he will be staying with the club next season. Antonio Conte said that Diego Costa is an important player for the team and that there is no reason that he should be leaving in the summer. He admitted that he has always been a fan of the player and that he wants the player to stay at the club. Conte said that Diego Costa is an outstanding player and that he is one of the best forward players in the world at the moment. For Antonio Conte, Chelsea needs to have the best players in the world and that they will not allow Diego Costa to leave. He said that Costa is happy at the club and that they are building a team around him. He stated that he is not aware of any rumors that Diego Costa wants to leave the club. At the moment he is a Chelsea player and said that he would be staying for the long term. 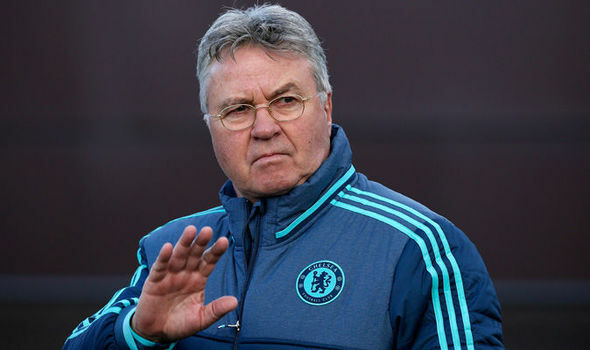 Chelsea’s interim manager Guus Hiddink believes that defender and captain John Terry is worthy of a new contract. The 35-year-old is set to leave the club at the end of the campaign as his contract runs out in a few weeks. Chelsea confirmed six months ago that they would not be extending the deal of their talisman even though the player himself expressed his desire to stay. After his recent sending-off against Sunderland, Terry will be unavailable for the last two games against Liverpool and Leicester City. This denies him a chance to put on a Chelsea shirt for one final time at Stamford Bridge. Jose Mourinho claims that Chelsea can utilise their underdog status and potentially aim to win the Champions League this season. The blues are not even listed as amongst the favourites to win this season’s title after having been very poor so far. Surprisingly, the Premier League champions are involved in a relegation fight with the season almost about to approach Christmas. Mourinho has still been kept in the job and it has been unlike Roman Abramovich, who has resorted to sacking managers even at the slightest hint of poor results. It seems that Mourinho will stay at the club irrespective of the results – at least until the end of the campaign.